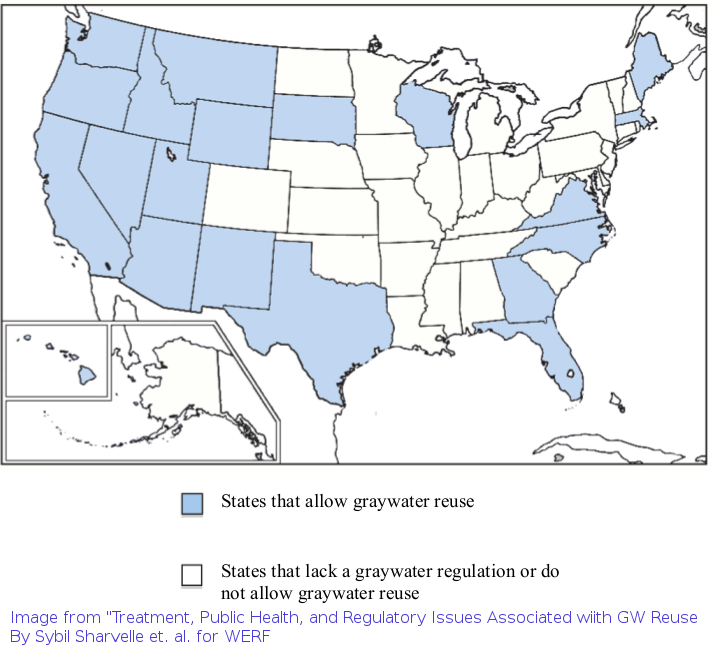 Greywater is gently used water from your bathroom sinks, showers, tubs, and washing machines. It is not water that has come into contact with feces, either from the toilet or from washing diapers. Greywater may contain traces of dirt, food, grease, hair, and certain household cleaning products. While greywater may look “dirty,” it is a safe and even beneficial source of irrigation water in a yard. Keep in mind that if greywater is released into rivers, lakes, or estuaries, its nutrients become pollutants, but to plants, they are valuable fertilizer. Aside from the obvious benefits of saving water (and money on your water bill), reusing your greywater keeps it out of the sewer or septic system, thereby reducing the chance that it will pollute local water bodies. Reusing greywater for irrigation reconnects urban residents and our backyard gardens to the natural water cycle. 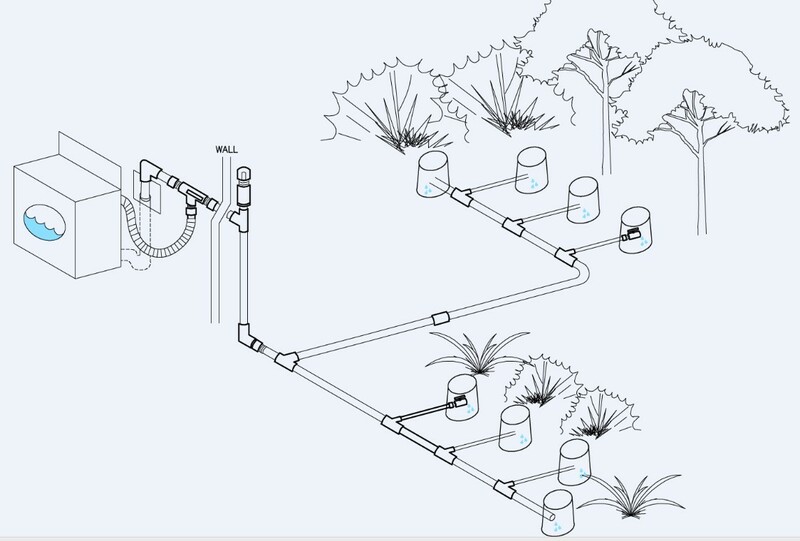 The easiest way to use greywater is to pipe it directly outside and use it to water ornamental plants or fruit trees. Greywater can also be used to irrigate vegetable plants as long as it doesn’t touch edible parts of the plants. In any greywater system, it is essential to use “plant friendly” products, those without salts, boron, or chlorine bleach. The build-up of salts and boron in the soil can damage plants.